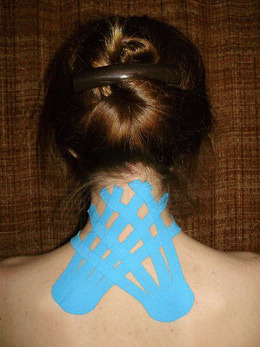 Neuro-Proprioceptive taping is a relatively new technique sometimes used in physical therapy treatment. It takes advantage of the physiological effects of taping using a special kind of tape called k-tape. This technique and its basic principals of application are known by many names including Kinesio-taping, K-taping, Cure-tape, Fysio-tape, Medi-taping, and Kinesio-Italia. When we have a sore area what do we do? Generally we rub it. The tactile pressure and stimulation of the receptors in our skin make us feel better. The tape provides gentle tissue-sheering all day therefore providing a beneficial analgesic effect on the area. In addition, the tape gives us feedback to prevent painful and/or improper posturing. 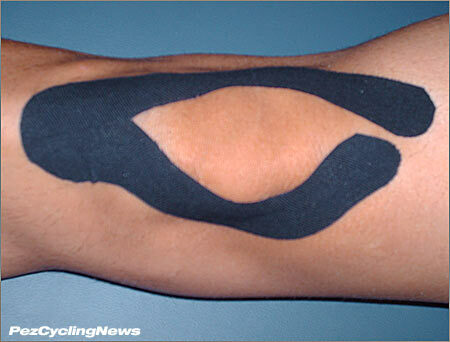 Tape can also be used to facilitate a muscle, inhibit a muscle or provide structural support to the joint. Depending on the goal of the physical therapist, k-tape will be applied with a muscle in a stretched or shortened position, and different tension is applied on the tape during application. Many areas or body parts can be treated effectively with this tape. Taping an unstable ankle can increase reaction time (peroneus muscles) and help with rehabilitation and prevention of re-injury. Patellar taping can be an effective treatment for patellofemoral pain. It is mainly used in the acute stage of the injury. The taping does not treat the cause of the problem. Rehabilitation of the muscles and structures around the knee are the most important and effective techniques to prevent the injury from recurring. The specific tape used in this taping technique is Leukotape K or k-tape. Leukotape K has many special qualities that make it very effective. The tape is made of elastic polymer surrounded by cotton. 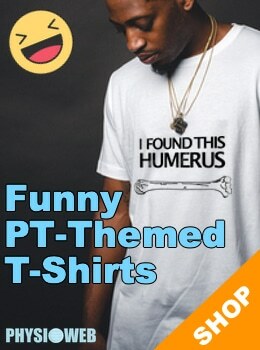 It has 30-40% longitudinal stretch, no horizontal stretch, elastic properties efficient for 3-5 days, latex free and is water-resistant, yet allows sweat evacuation. Neuro-proprioceptive taping can be a very effective tool to help with the treatment of pain and provide other neuro-physiological effects. It is an easy technique to learn and often produces great results.